There are increasing indications the Mueller investigation is coming to a head. 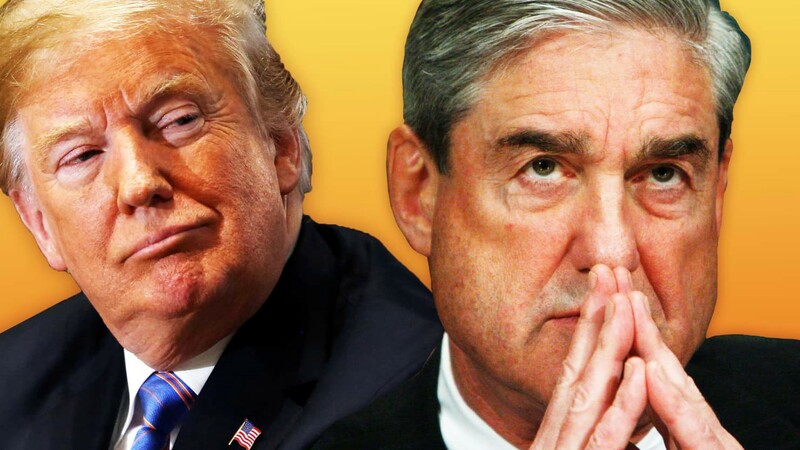 CNN reports Mueller is now writing his final report as Trump prepares written answers to questions submitted to him by the investigators. Former Trump Campaign Advisor Roger Stone has said for months he expects to be indicted, on charges that could directly relate to Russia collusion. Recently, his protege, Birther conspiracy theorist Jerome Corsi, publicly declared that Mueller’s team told him they plan to indict him. Former Trump personal attorney and fixer Michael Cohen arrived in Washington D.C. on November 12th to meet again with Mueller team prosecutors who were working hard on the Federal holiday. The Wall Street Journal reports that if Trump were not a sitting President he would have been indicted with Michael Cohen for campaign financing fraud related to the hush payments to Stormy Daniels and Karen McDougal arranged through The National Enquirer. In the meantime countermoves by Trump to potentially thwart Mueller also moved to a new level. The day after the midterm elections, Trump fired Attorney General Jeff Sessions who had recused himself from the investigation. In his place Trump appointed as Acting Attorney General Matthew Whitaker, who is already strongly on record as opposed to the Mueller investigation. While many have called for Whitaker to similarly recuse himself, he has not yet done so. It seems unlikely he will, as Trump publicly humiliated and fired his predecessor for doing so. Some have expressed concerns that Whitaker could use his position to quash any report submitted by Mueller as independent counsel. For example, Whitaker could simply refuse to forward the report to Congress. In my opinion Mueller has simple way out of these concerns. He can put all the facts he would put in a report in an indictment (or multiple indictments) instead. I do not suggest Mueller actually indict the President of the United States. Department of Justice policy says a sitting President cannot be indicted by the DOJ. The DOJ believes, while a President can be prosecuted in the ordinary fashion after impeachment and removal from office, the only criminal prosecution the Constitution allows for a sitting President is the impeachment power granted Congress. While the DOJ opinion that a sitting President cannot be indicted by the DOJ is untested, and not necessarily binding, I do not believe that Mueller will challenge it. Simply put, Mueller will not indict the President. So why do I suggest Mueller could use indictments to get the evidence against the President before Congress and the public? Simple. While Mueller cannot actually indict Trump, he can name Trump an un-indicted coconspirator. For example, Mueller could file a superseding indictment against Michael Cohen. It would itemize the evidence of the President’s involvement and name Trump an un-indicted coconspirator for the campaign financing fraud he schemed with Cohen and the National Enquirer. Similarly, any forthcoming indictments of Roger Stone and/or Jerome Corsi for Russia collusion could set forth the supporting facts and name Trump as an un-indicted coconspirator. The criminal complaints would probably refer to “Un-indicted Coconspirator #1” and then drop a footnote stating something like, “Un-indicted Coconspirator #1 is not included as an indicted figure because DOJ policy precludes indicting a sitting President.” Such a statement would remove all doubt as to who the un-indicted coconspirator is, and the only reason he was not indicted. Designating Trump an un-indicted coconspirator in criminal complaints is probably the most aggressive approach Mueller could take. It would make clear Trump’s actions rose to indictable level conduct, and would circumvent Trump’s efforts to interpose Independent Counsel critic Matthew Whitaker in the process. Public indictments would immediately put the evidence in front of the American people and Congress. What happens from there is anyone’s guess, and would largely hinge on American public opinion.